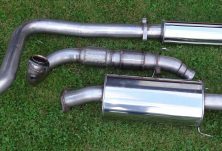 Abbott Saab stock an extensive range of replacement and performance parts for your 9-3. 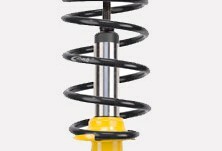 Not sure what part you need or need some advice on how to improve your car? Get in touch with our friendly team of experts. Introduced in late 1998, the 9-3 boasted over 1000 detail changes from the 900 it replaced. The 9-3 at last was the car the 900 should have been when first released back in 1994. Unfortunately while the 900 was maturing into the 9-3, the automotive world had moved on. Despite the detail changes, the 9-3 in standard form is still not truly a driver’s car, with better, but still indifferent steering response and less than inspiring road holding. Whilst the 9-3 is superior in most respects to the 900 model it replaced, it is still not a true match for the 9000 models. 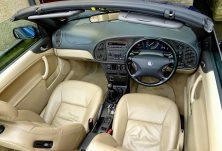 The interior remained almost unaltered from the 900 with fine ergonomics, leather trim and ACC. 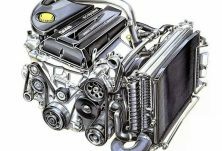 Thankfully too, the engines remained unmodified from the 900 model, these factors make all the 9-3 models a class act that is difficult to beat, even more so when fitted with our range of proven chassis and engine enhancements. 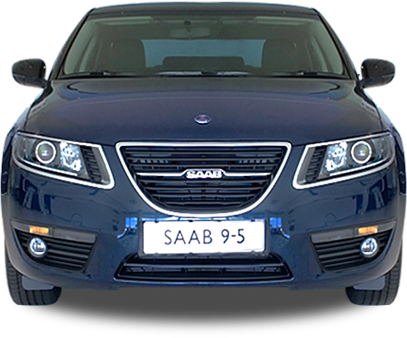 With Model Year 2000 vehicles came the option of Saab’s new B205R “HOT” engine (High Output Turbo), with its 205 BHP it gave the 9-3 range a huge boost to carry it through to the all new replacement model due out for Model Year 2003. 9-3 Turbo models including the Ecopower are very popular models for tuning, responding well to power and chassis improvements, offering a good ride/handling compromise. 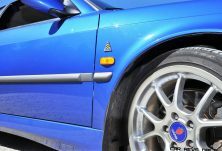 The 9-3 Viggen was produced in short numbers in 1999-2000, with the 2.3Turbo engine producing 225 BHP, this model was developed to enhance the range, but sadly did little to help Saab, as it handled very poorly with no traction control. We have now seen many of these cars & fitted our Spring/Damper and Rescue kit, this helps to transform the car into one with far better road manners.